Looking for the best Atlanta airport limousine service? A-National Limousine Service provides luxury limousine services from your home, office or hotel to the airport and beyond. Our Network Partners Affiliation allows us to arrange continuing limousine services upon your arrival at your destination anywhere in the country. Convenient online reservations make it easy to secure safe, reliable, comfortable airport limousine services. We are the preferred ground transportation provider for the crews of more than 20 U.S. and international passenger and cargo airlines. Every day, these airlines depend on our consistent, reliable services. We offer meet and greet services tailored to the needs of our passengers. Professional greeters will meet your party inside or outside the Airport terminal whether it is an individual traveler or large group. “Outside meets” are free of charge and “Inside meets” are available for additional charges. We highly recommend “Inside Meets” for VIPs, corporate groups and for those not familiar with Hartsfield-Jackson International Airport. Click here to review A-National Limousine’s airport meet locations. Our chauffeurs will personally call and greet passengers once their flight lands at the Airport. 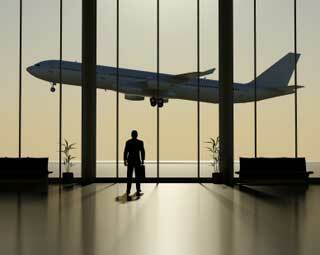 If necessary, the chauffeurs will offer personal assistance to guide clients through the airport. Be prepared to be treated like royalty as you are escorted and transported to your designation. Chauffeurs can also offer concierge services upon request. Click the graphic below to track your flight.